In Sanskrit “Salamba” means “Supported”, “Asana” means “Posture”. 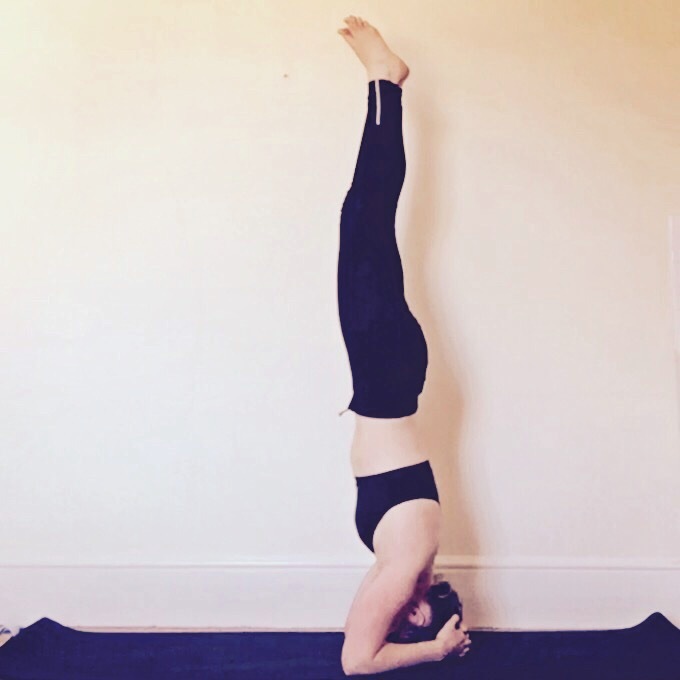 The English name of this asana is “Supported Headstand”. Place the crown of the head on the blanket between the hands. Move the hands back towards each side of the knees and adjust the position so that the hands form the corners of an equilateral triangle with the head. The forearms should be vertical and the elbows bent. Lift the knees from the floor straightening the legs, and raising the buttocks. Walk the feet forward until the thighs are near the chest and the back is almost vertical. Slowly raise one foot off the floor, balance and then raise the other foot. Retain the breath. Utilising the arms for support, raise the legs and straighten the knees so that the body is fully erect. Keep the spine and legs in a single vertical line. Hold the pose for as long as is comfortable. Retain the breath. Retain to the starting position. Slowly refold the legs and lower the body with control, in the reverse order, until the toes touch the ground. Remain in the kneeling position with the head on the floor for a short time.